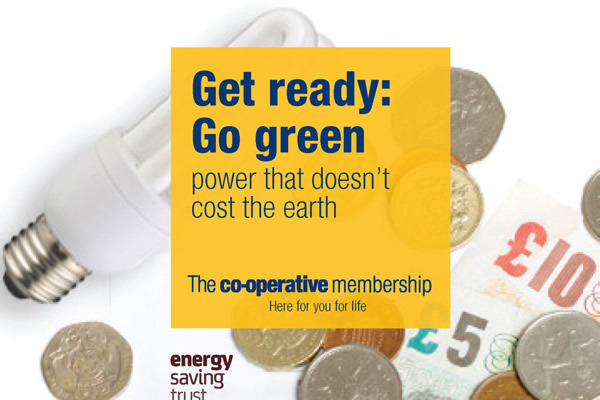 As part of a series of events happening throughout the South West and the UK for the Community Energy Fortnight (24th August – 8th September 2013), The Co-Operative has joined up with Energy Saving Trust to offer you an exclusive opportunity to join a free event which provides advice and takes you through some straightforward ways to save money on your energy bills and at the same time reduce your carbon footprint. The session will cover everything from small changes you can make in your home, to deals you can negotiate with suppliers, and habits you can change to make a real difference. Their simple ‘Three Steps’ programme can save you up to £155 a year without having to invest a penny! You will also have a chance to hear about exciting community energy initiatives in the rejoin, such as the Bindon Mill Screw Turbine installation, and meet local groups that are working within your community. This event is open to members and guests, and booking will be on a first come, first served basis. Places are limited. To book and secure your place, visit www.co-operative.coop/memberevents, click the ‘Book tickets’ button on the right, or call 01884 266892.